At the media briefing for the Farnborough International Airshow today, organisers revealed highlights regarding the forthcoming trade show which takes place from 11th – 17th July 2016. Presenting to a gathered audience of international, national and regional media as well as key stakeholders, Commercial Director, Amanda Stainer indicated that the show was hoping to repeat the success of FIA14. 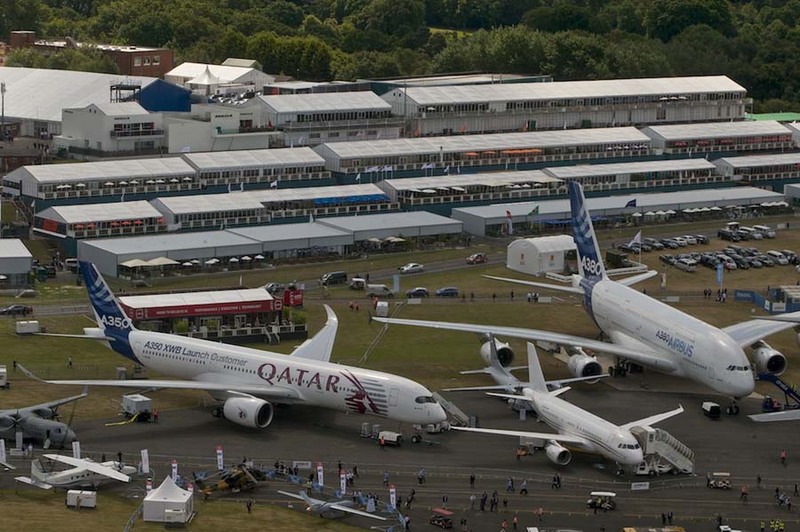 With exhibition space in halls already over 90% sold, and final negotiations taking place on remaining chalet and outside space, the positive sales reflect the continued strength of the international defence and commercial aerospace industry and the value that FIA brings for aerospace business. Further proof of the airshow’s standing was reflected in its continued international participation. 22 nations will be hosting pavilions at the show from Europe, the US, Canada, South America, Russia and the Far East. Stainer noted that Chinese participation was at its largest with a dedicated Chinese pavilion representing a 103% increase in footprint and a 98% increase in spend compared to the 2014 show. Strong international attendance is also expected via the delegations programmes. The Civil and Commercial programme is exceeding expectations with representative groups already confirmed from the UK, Australia, Italy and the Middle East. The Military delegations programme is also progressing well with the organisers in discussions with all the key and emerging markets around the globe. High level military delegation presence is anticipated from over 50 countries. In addition, it is also working with all FIA exhibitors regarding engagement with the RAF and the UK MoD at all levels. A major highlight for the show will be the appearance for the F-35 Joint Strike Fighter. The show will see both F-35A and F-35B variants on display. For the many commercial aerospace organisations involved in the development of the aircraft, the F-35’s appearance is also a major opportunity to promote their achievements in the making of the aircraft to an international trade audience. Pratt & Witney, BAE Systems, Rolls-Royce, Martin Baker, Esterline, Kongsberg Gruppen, Alenia Aeronautics and Ultra Electronics to name just a few are all part of the F-35 global supply chain and will be exhibiting at the show. For Lockheed Martin, the F-35’s appearance marks over a decade of development and will be central to its participation at the show this summer. Networking and engagement was also noted as a key feature of the show with an increased number of briefings and workshops taking place. As well as a host of ADS led events, SAE International will be running an MRO workshops and Aviation Week a Commercial Manufacturing Briefing. Furthermore, EUPIC (the EU Project Innovation Centre) will be hosting a conference regarding aerospace business opportunities in China. Alongside the popular Meet The Buyer event and Welcome Reception the show is expected to provide excellent business networking across all five days of the show week. As well as the F-35 Joint Strike Fighter, other aircraft anticipated to be either on flying or static display include Antonov 178, Airbus A350, Bombardier C-Series, Boeing F/A-18F Super Hornet and T2 Aviation Boeing B727. Hybrid Air Vehicles is also hoping to demonstrate its Airlander, the world’s largest aircraft which is currently in the earliest stages of a flight test programme.